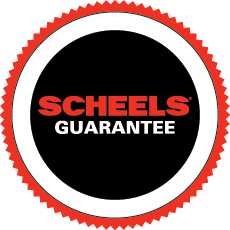 In September of 2008, SCHEELS opened its newest and largest shopping experience in Sparks, Nevada. This flagship store is located at the intersection of I-80 and Sparks Boulevard in Sparks, Nevada at the Legends at Sparks Marina. Sparks’ 295,000 square foot SCHEELS retail shopping experience showcases the world’s largest selection of sports, sportswear, and footwear under one roof. Unlike a typical sporting goods store or department store, the new Sparks SCHEELS is a collection of entertainment venues, as well as women’s, men’s, youth, specialty, and sport and game shops. Brand-name concept shops by Nike, adidas, Columbia, Under Armour and The North Face feature the best sport apparel products. Each shop is staffed with experts who are focused on their passions. The Sparks Scheels location attractions include eight life-like bronze sculptures; two 16,000 gallon aquariums full of brilliantly colored fish; a 35 foot tall, 800 square foot Wildlife Mountain; a 65-foot, 16-car operating Ferris Wheel; a Home Décor and Gift Lodge; a nostalgic shooting gallery, Roller Ball, a Buck Hunter simulator, and a 5 sport simulator with sports including basketball, soccer, baseball and football, where customers can test their skills. The Walk of Presidents and many more amenities makes this shopping adventure unlike anything the Reno-Sparks retail customer has ever experienced. A 16 car ride standing up at 65 feet tall, our Ferris Wheel will give you a chance to see everything from a whole new view. Be wowed by two 16,000 aquariums full of brilliantly colored fish at the entrance of our store. Enjoy gourmet soups and sandwiches, Starbucks coffee, Gelato, Bavarian roasted almonds, and over 30 flavors of homemade fudge. A beautiful custom-built home decor and gift lodge that features a unique collection of gifts, home decor and artwork. Take aim in our nostalgic shooting gallery!